When you think of social bookmarking, big names like Digg, StumbleUpon and Delicious likely come to mind first. But are these the only ones you should focus on? Depending on your niche or industry, you may find that channeling all of your energy into broad social bookmarking networks that cover almost every topic imaginable may not benefit you. Instead of targeting networks that only have a percentage of users interested in your topic, why not find a network whose members and visitors are 100% interested in your niche? The following are popular niche social bookmarking networks for bloggers, business professionals, developers and designers. BizSugar is a social bookmarking network dedicated to news and tips for small businesses. It covers marketing, finance, franchises, global, legal, management, technology and startups. 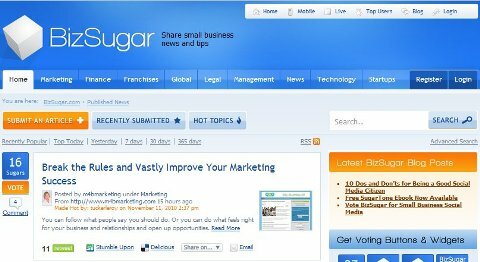 Home page stories receive an average of 20 to 30 votes, or “sugars.” You can easily retweet the original source from the BizSugar home page, as well as share it on StumbleUpon, Delicious, Facebook, Google Buzz and email. You can also create detailed profiles including links to your website, main social profiles and even a link to your latest blog post via RSS feed. You can become friends with other users, send them direct private messages and comment on stories. If you’re looking to make friends with the most active users, you can view them in the top users list based on various network activity (story submissions, votes and comments). BizSugar receives an average of 40,000 unique visitors per month and has over 200 members. The most popular story in the last year is How Can I Look “Amazing” on LinkedIn with 107 sugars. BizSugar has an active blog covering social media and network news. Tools for website owners include voting buttons, badges and a top stories widget for your website as well as a WordPress plugin. Tools for users include a bookmarklet and toolbars for Firefox, Safari and Internet Explorer. You can follow BizSugar on Facebook, Twitter and LinkedIn. BizSugar is a social bookmarking network for small business news. 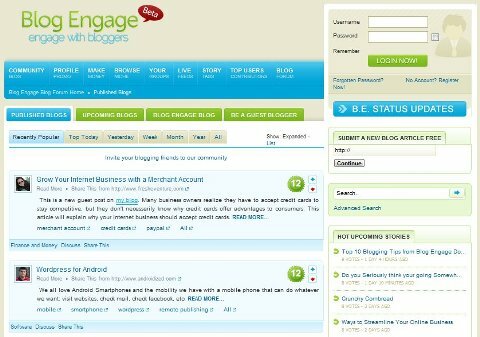 Blog Engage is a social bookmarking network and community specifically for bloggers who write about any topic from blogging to technology and anything in between. Home page stories receive an average of 10 to 20 votes. You can easily share items from the Blog Engage home page to a variety of networks using the Share This link under each story. On Blog Engage, you’re able to create your own profile and you can add other members as friends. Interaction between users can happen in a variety of places through commenting on stories, participating on the Blog Engage forums and sharing stories within groups. If you’re looking to make friends with the most active users, Blog Engage also offers a list of top users based on network activity. Blog Engage receives an average of 19,000 unique visitors per month and has over 400 members. The most popular story in the last year is Google PageRank Score Too Low? with 96 votes. Blog Engage has an active blog covering social media and blogging. They also have regular guest blogging contests. Tools for website owners include voting buttons, badges and a WordPress plugin. Tools for users include a bookmarklet, which you can find in your user dashboard when logged into the network. You can follow Blog Engage on Twitter and Facebook. Blog Engage is a social bookmarking network for bloggers. Design Bump is a social bookmarking network for designers looking to share stories and tutorials for web design, graphic design and even niche design topics such as architecture and industrial design. Items on the home page receive an average of 10 to 20 votes. Although interaction on Design Bump is limited to comments on stories, you’re able to create a basic profile and include up to 12 images that will link to your portfolio. Top users are listed based on network activity. Design Bump receives an average of 30,000 unique visitors per month and has over 8,000 members. The most popular recent story is 50 Free High Quality Icon Sets with 27 votes. Tools for website owners include embeddable buttons and an official top stories widget. Design Bump is a social bookmarking network for designers. Design Float is another popular social bookmarking community for designers, covering topics similar to Design Bump. Home page stories receive 10 to 20 votes and can be shared on Twitter. On Design Float, you can create a basic profile, and although you can add each other as friends, interaction is again limited to story comments. Top users are also recognized by network activity. Design Float receives an average of 108,000 unique visitors per month, has over 65,000 members, and has over 7,000 RSS subscribers. The most popular story in the last year is 33 Awesomely Cool Science Fiction Wallpapers with 55 votes. Design Float has an active blog with roundup posts of artwork, design, tutorials and resources. Tools for website owners include voting buttons, top stories widgets and a WordPress plugin. Tools for users include a bookmarklet for easy story submission. You can follow Design Float on Twitter. Design Float is a social bookmarking network for designers. 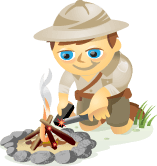 DZone is a social bookmarking network for website developers and programmers. Home page stories receive 5 to 15 votes and can be shared via Twitter. You can create a very basic profile and interaction is limited to story comments and forum participation. DZone receives an average of 194,000 unique visitors per month and has over 25,000 RSS subscribers. The most popular story in the last year is the Amazing HTML5 Paint App with 114 votes. Tools for website owners include a voting button. Tools for users include a Firefox voting plugin. You can follow DZone on Twitter, Facebook and LinkedIn. DZone is a social bookmarking network for developers. SERPd is a social bookmarking network for Internet and search engine marketers. Home page stories receive 15 to 25 votes, anywhere from 50 to 150 views and can be shared via Twitter and StumbleUpon. You can create a profile, follow other members, send private messages and interact in the comments on stories. Top users are listed at the bottom of the site in the footer. On a side note, social interaction was actually the reason SERPd was created, as a reaction to the popular search news site Sphinn changing from Digg-style user voting to moderator-approved stories only. I’ll give Sphinn the honorable mention, as they still allow members to “suggest” stories and the ones selected are usually top-notch. SERPd receives an average of 19,000 unique visitors per month – quite impressive considering they only started in September 2010. The most popular story since the network started is 7 SEO Experts to Avoid with 44 votes and 1,600+ views. Tools for website owners include a social voting button and banner. You can follow SERPd on their blog, Twitter and Facebook. SERPd is a social bookmarking network for Internet marketers. Tip’d is a social bookmarking network for those interested in finance and business topics including real estate, currencies, entrepreneurship, career and economy. Home page stories receive 15 to 20 “tips,” or votes, and can be shared on other social networks using the Save and Share widget. You’re able to create a profile and add other users as friends to interact via private messaging as well as story comments. Top users are listed based on network activity. You can even see what domains have the most votes on Tip’d by visiting the top domains page. Tip’d receives an average of 48,000 unique visitors a month, and has over 61,000 members and 4,000 RSS subscribers. The most popular story in the last year is 6 ways to find free money with 59 votes. Tools for website owners include voting buttons, a WordPress plugin, and a Feedflare for Feedburner command to ensure an “Add to Tip’d” link appears along with your blog’s feed items so subscribers can submit your story to Tip’d from their feed reader. Follow Tip’d on Twitter and Facebook. 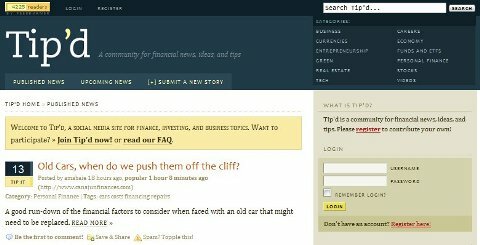 Tip'd is a social bookmarking network for financial news, ideas and tips. What are your favorite niche social bookmarking networks? Have you used any of these sites? I know this can’t be all of them, so please share your favorite niche social bookmarking networks, as well as any advice you would give others on how to be successful in getting their stories to the top of these networks. Leave your comments in the box below.